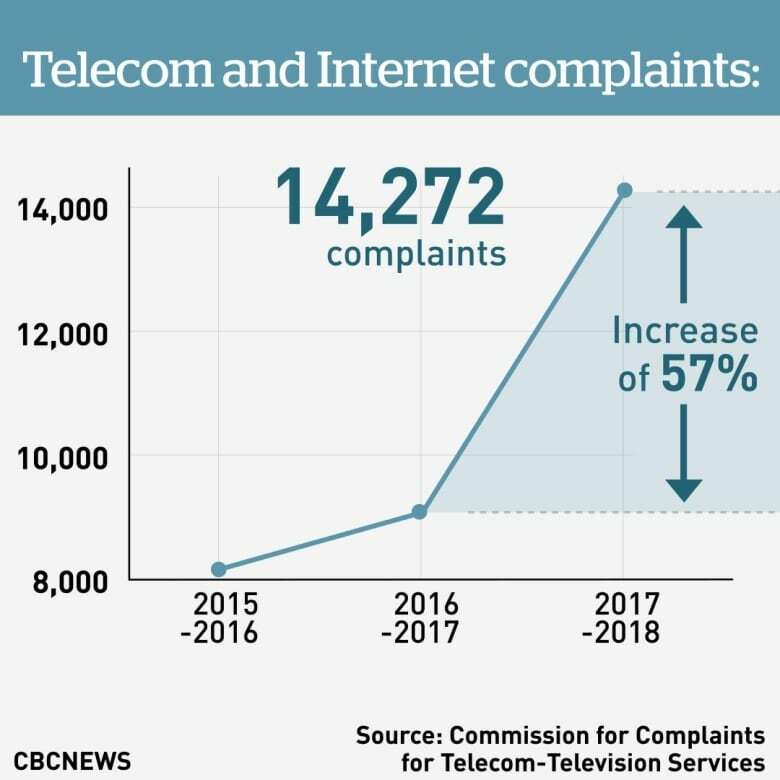 The federal watchdog dedicated to resolving customer complaints about telecommunications and television services saw a 57 per cent spike in complaints in 2017-18, most of them involving wireless providers. 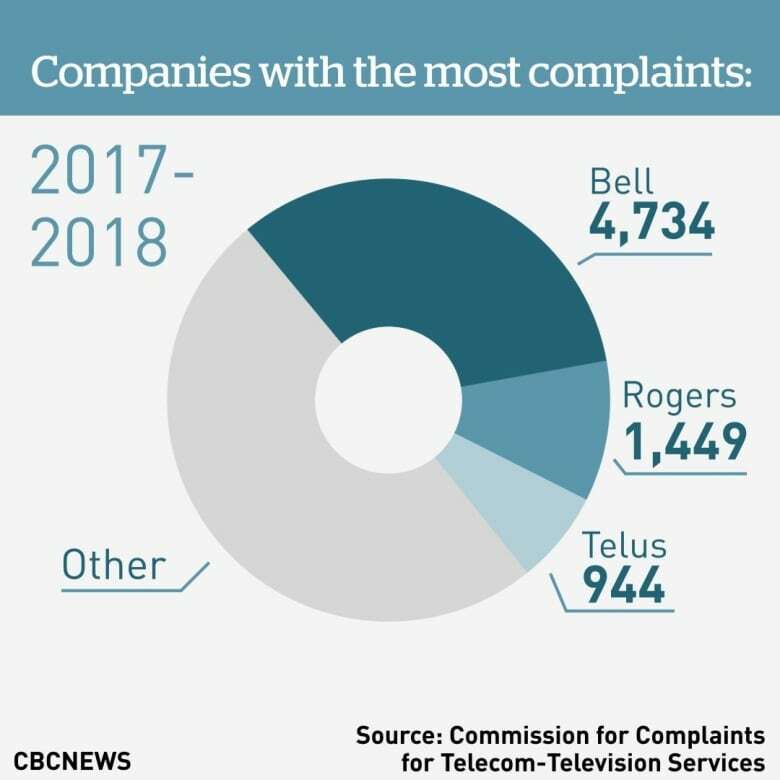 The federal watchdog that handles customer complaints about telecommunications and television services in Canada saw a 57 per cent spike in complaints in 2017-2018, most of them involving wireless providers. The Commission for Complaints for Telecom-Television Services said Tuesday that it also expects to see complaints rise this year. For the first time, the federal watchdog is also investigating complaints about television. But most of what it heard in the year to September 2018 were the same issues that the CCTS has been dealing with for the past 10 years — non-disclosure of information and bill surprises by wireless operators. "Customers will communicate with their service provider and then find out that the reality of what they get is not what they expected to get. This results in billing issues, in charges people don't expect, on limitation on bandwidth or data," said CCTS Commissioner Howard Maker. "It's a mismatch of customer expectations and what their service provider delivers." Maker said the complaints come despite a revised Wireless Code, which is meant to protect consumers. It came into effect in December 2017. The CCTS handled 14,272 complaints from consumers in 2017-2018. Of that, 41.5 per cent of them were about wireless service and 29.2 per cent were about internet service. Complaints about television made up only 10.6 per cent of the total. 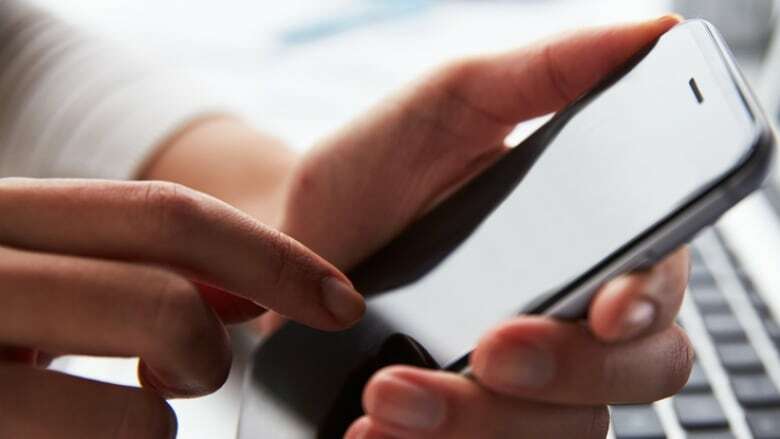 The Canadian Radio-television and Telecommunications Commission held hearings into the telcos' sales practices earlier this year and is due to present the findings in February. Consumer advocates speaking at the hearings complained that the telcos are misleading seniors and low-income people with high-pressure sales tactics. They called for a sales code of conduct and a "cooling off" period to allow consumers to back out of contracts that are not suitable to their needs. John Lawford of the Public Interest Advocacy Centre said it's a positive sign that consumers are complaining more because it means government might listen. "It's about time we started increasing complaints in Canada. I'm glad to see people are starting to complain actively now," he said. He called for policies that would promote more competition in the telecom industry and "maybe bust out the major players' stranglehold on the market." Lawford suggested rules on wholesale pricing that will encourage competition from smaller players. "There needs to be some threat to the big guys, so they can't just do what they want," he said. Maker says there is lots of opportunity for the telecom providers to do better. "We see a lot of complaints that customers bring to us that have no business getting as far as the CCTS. Small complaints where the provider's own evidence indicates that the customer has merit, that the story the customer is telling is true, and yet they're not resolved at the frontline, presumably because nobody looked at the records," he said. 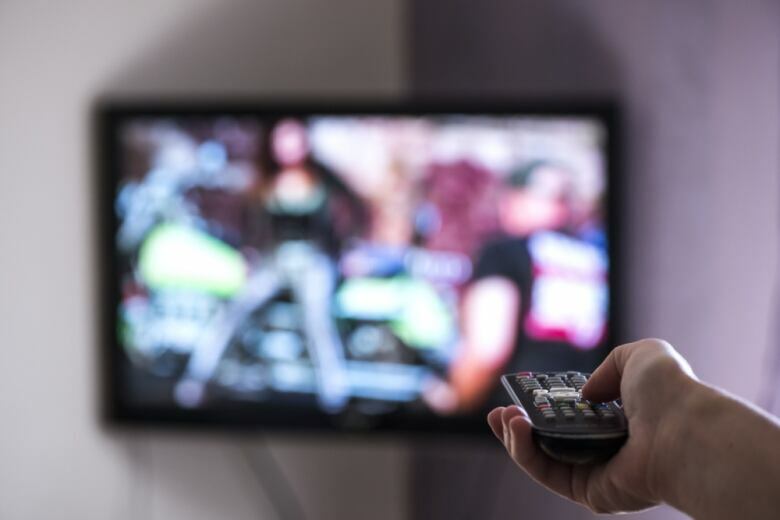 Maker said media coverage of the CRTC hearing with its focus on sales practices may have made more consumers aware of the CCTS and its complaints process. But he also called on the telcos — especially Bell, Rogers and Telus, the biggest players who account for half of all complaints — to improve their practices. "Where there's opportunity for improvement is around the disclosure factor — making sure all the necessary information that customers need to really understand what they're getting is complete," Maker said. Documents should be clear, complete and written in accessible language. Consumers should be educated about "all the ins and outs they need to know to make sure they're getting what they think they're getting," he said. The CCTS noted an increase of complaints about internet service, which have grown by 170 per cent in the last five years to 8,987 complaints. Among the issues are billing and disclosure issues, but also quality of service such as internet speeds, internet outages and bandwidth overuse surcharges. Consumers also complained about installations — especially technicians who don't show up on time. "Consumer protections are in place to TV and wireless, where there are codes. But in the internet business there is no code, so it looks like the CRTC wants to plug that gap," Maker said. "This would level the playing field in terms of everyone understanding the rights of the consumers and the providers." The CCTS says it resolved 92 per cent of the consumer complaints it handled. A customer from Laval, Que., agreed to obtain a bundle of home phone, internet and TV services for $111 per month, but was then was billed $131 per month. The provider told her that she was not eligible for the offer priced at $111 per month. CCTS was able to secure the lower price for her for a 12-month period. A customer from Langley, B.C. received an offer from her service provider of a new mobile device, which included a device protection plan. The customer paid $280 for the device and believed she was on a month-to-month agreement. The device broke and she received a refurbished replacement. When she reported her dissatisfaction, she ws told she was locked into a 24-month plan with a $500 cancellation fee. CCTS found the provider had failed to inform the customer that by accepting the new device, she was consenting to a 24-month contract and that it had not sent her a copy of the contract as mandated by the Wireless Code. A customer from Saskatchewan subscribed to internet service delivered through a satellite system. The service functioned properly for a few days until the internet speed decreased, particularly when used for gaming or watching Netflix. The provider said a new plan would be necessary to get those speeds. When the CCTS became involved, the provider offered an upgrade to new infrastructure without an installation fee and with a credit for the customer. 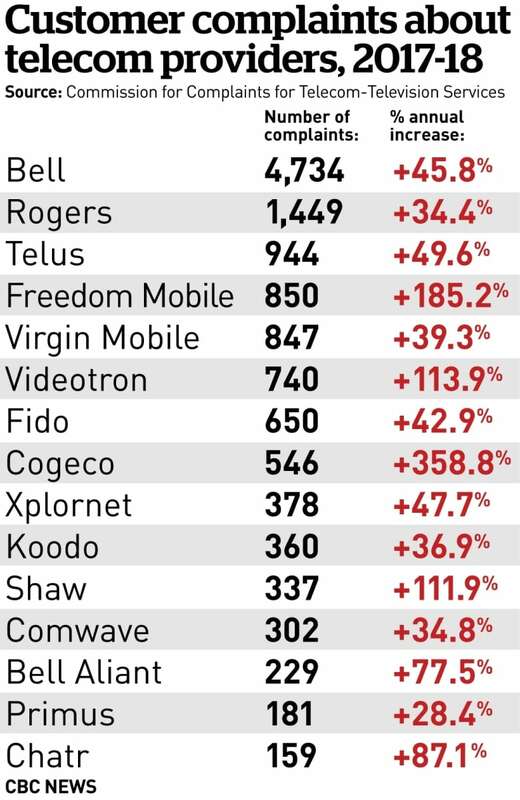 The provider most cited was Bell, the biggest telecom provider in Canada, with 4,734 or a 45.8 per cent increase in complaints.There was a sharp increase in complaints about incorrect monthly pricing and non-disclosure issues. Bell pointed to the increase in complaints for nearly all providers. 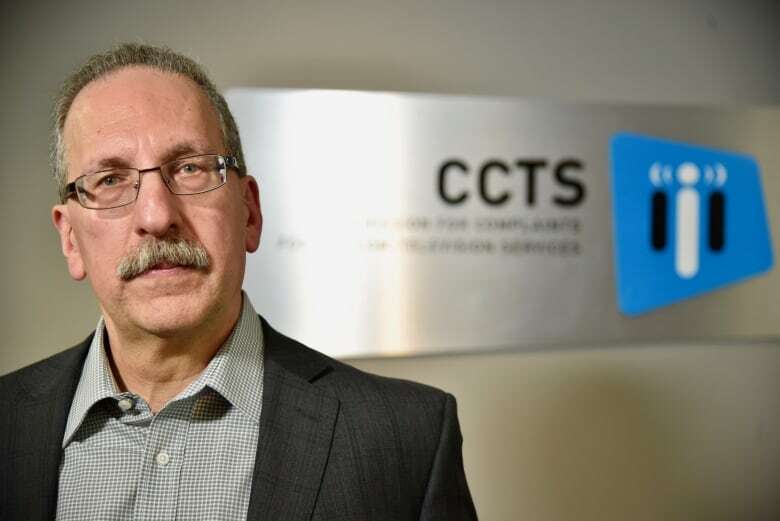 "Overall complaints about communications providers have increased each year as both the CCTS's mandate and consumer awareness of its services continue to grow," the company said in a statement. It said its investments in front-line service teams and support systems are having a "positive impact on our customer service performance." Rogers, which had 1,449 complaints, sent an email statement from Eric Agius, senior vice-president of customer care: "One complaint is one too many and we always take customer feedback to continuously improve." Telus issued a press statement saying it received the fewest complaints of any national provider, accounting for only 6.6 per cent of complaints. "Of Telus's 901 complaints that were concluded prior to the 2017-18 report cut-off date, 757, or 84 per cent, were resolved at the pre-investigation stage," the statement said.